As client demands for control and transparency continue to grow, mid-sized law firms like yours are being squeezed from two sides - by Big Law that can outspend you and by boutique firms that can undercut you. Overcoming these challenges will require your firm to evolve cultures, develop new competencies, and operationalize new ways of working. Emerging technologies like intelligent automation are key enablers of achieving these transformative approaches. However, new research from Intapp and The Lawyer shows that while mid-sized law firms want to utilize intelligent automation, most have yet to invest in it. 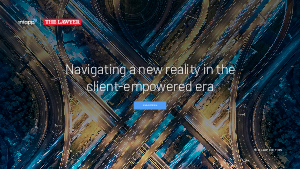 Read the full report to uncover the breadth of these gaps across Mid Law, and learn the five steps your firm can use to accelerate growth in today’s fiercely competitive market.